Roll out of bed and into the water at our private beach in the morning, have a swim in the heat of the day or have a midnight swim and see the most incredible evening sky . This unique Osoyoos Lake waterfront property, a five minute drive from town,is nestled in a rural setting in a quiet neighborhood below orchards. Enjoy the beautiful view while watching humming birds, ospreys and yellow-headed blackbirds to name a few, as well as loons and mallard ducks while you sip on your cup of coffee. You can also view vineyards across the lake or just get mesmerized by the water until a fish splashes out of the lake. Across the street find desert vegetation such as cactus and antelope bush. 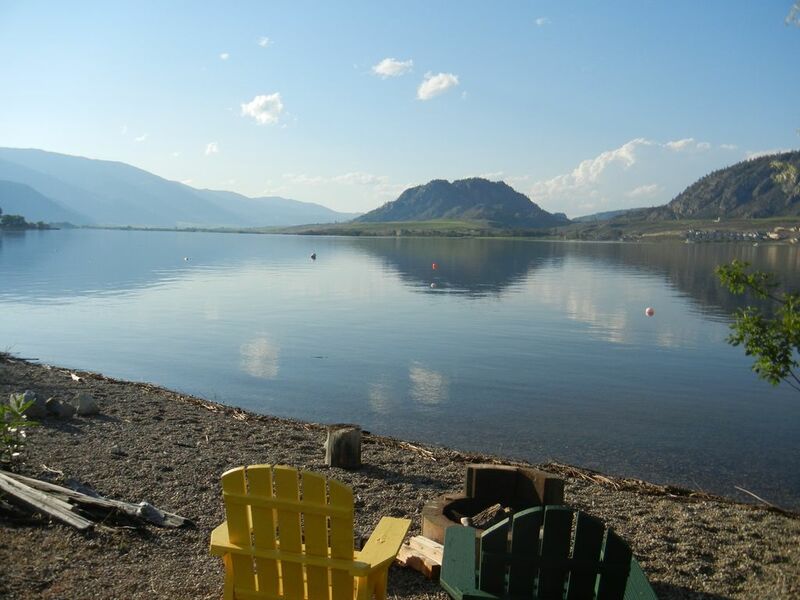 Take a walk and see orchards and a gorgeous hilltop view of Osoyoos lake. Our furnished cottage is on a quarter acre lot which has lawn sloping gently to the lakes shore. There is a fire pit on shore. You can fish from the shore. The cottage has one bedroom with a Queen-sized bed and the other two bedrooms have bunkbeds. There is a buoy in the water if you need to hitch a boat since water sports and sight seeing are excellent.